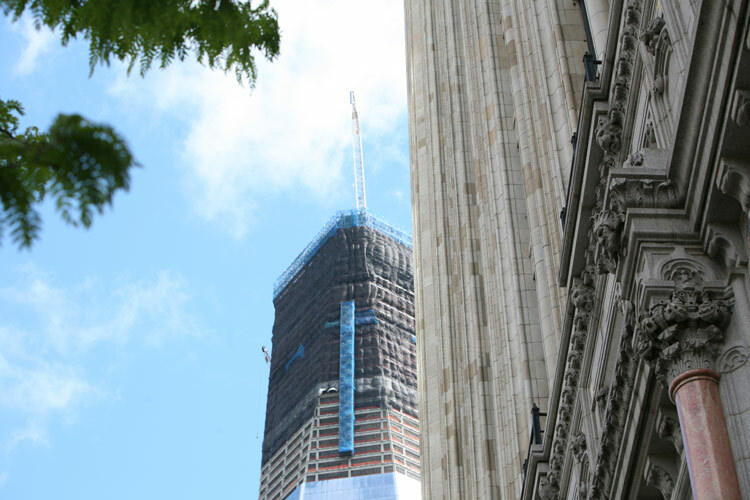 WTC Update: One World Trade to Pass Empire State, Plus a Shuttle Flyover! 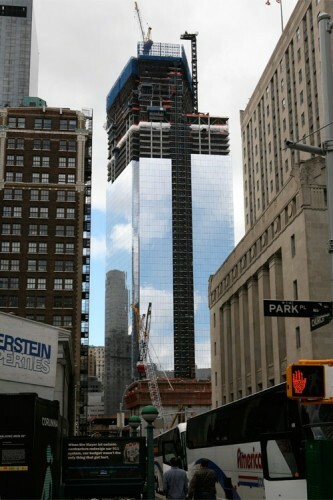 - Archpaper.com WTC Update: One World Trade to Pass Empire State, Plus a Shuttle Flyover! 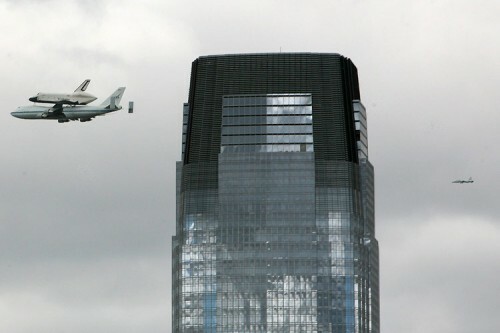 It wasn’t a usual trip to the World Trade Center site today as AN segued over to the river to get a glimpse of the Space Shuttle Enterprise’s flyover. 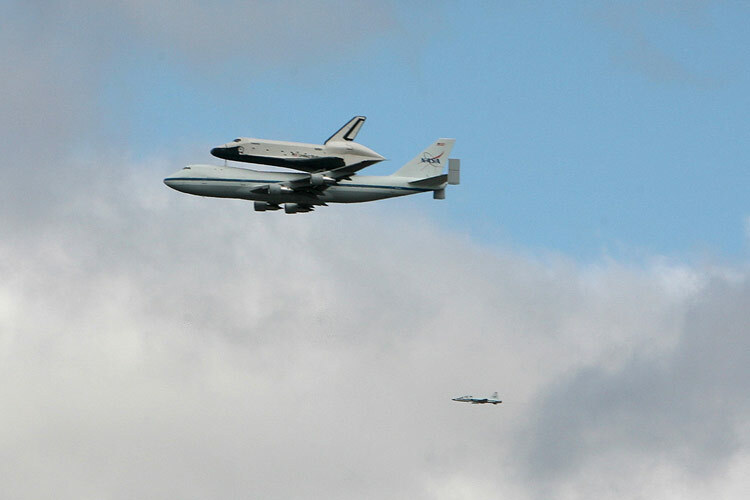 We caught the shuttle on its second loop at 10:55 on the dot. 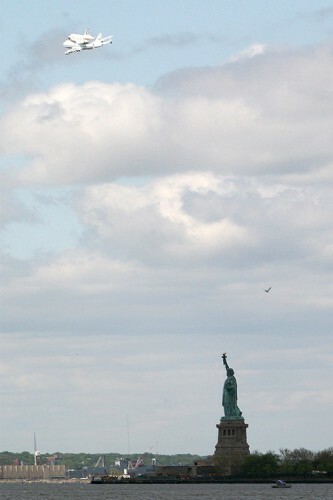 The pristine prototype shuttle skimmed south over New Jersey on its way round the Statue of Liberty. In all, a very uplifting day when combined with news that the One World Trade will likely surpass the Empire State Building as the city’s tallest building by this Monday. Come summer the shuttle will make a barge trip up the river to its new home at the Intrepid Museum. No news yet on speculation that new building across the street from the museum might house the shuttle. The view from Battery Park. Back at the WTC site, construction is humming, with the exception of the 9/11 Museum which stopped after legal wrangling ensued between the museum and the Port Authority over money. Last week, capitalnewyork.com reported subcontractors were slated to be paid by the Port, hinting that an agreement over the disputed $150 million might soon be reached. Since AN last report in February, several developments have appeared. Fumihiko Maki’s Tower 4 continues to climb, and the triangular volume at the top has asserted itself above its rhombus base. The pedestal for Richard Rogers Tower 3 now looms over Church Street, though an anchor tenant has yet to be announced. The WTC overlook of the site at Brookfield’s World Financial Center is shuttered as work begins on a $250 million retail renovation. The oculus at the Fulton Street Transit Center is now fully formed. Next to Seven World Trade, CUNY’s Fitterman Hall by Pei Cobb Freed slapped its brick paneled curtain wall together in what seemed like weeks. The panelized red-brick face provides a disjointed contrast to WTC’s valley of glass and steel at its doorstep. 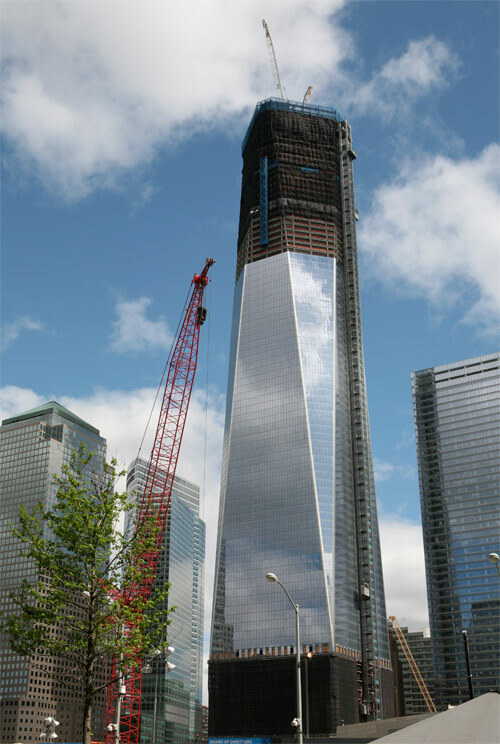 One World Trade will surpass the Empire State next week. 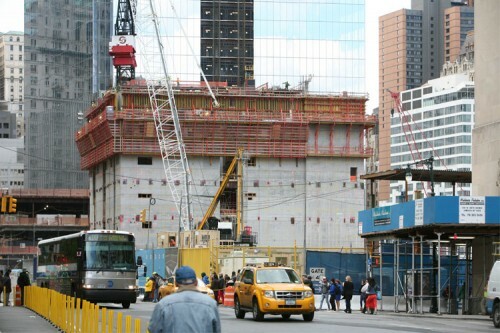 The pedestal for Tower 3 looms over Broadway. One World Trade from West Street.